← Y.A.P. Time! New goodies from Lion Brand Yarn! 1. 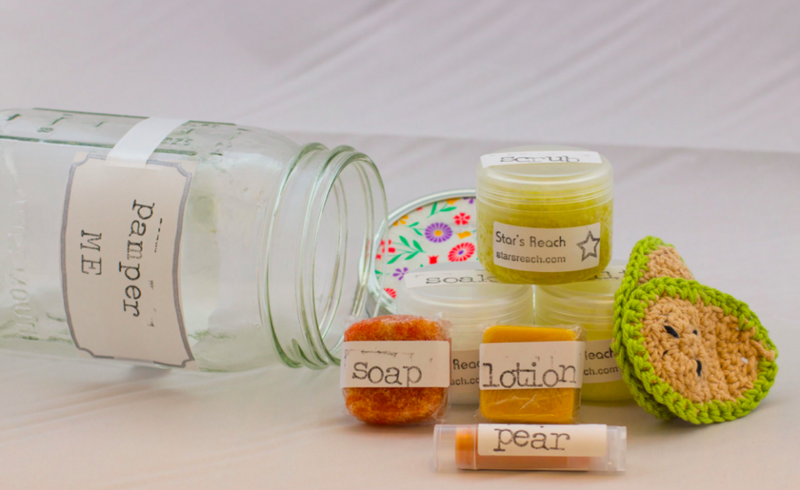 Pamper Me – Spa In A Jar from Star’s Reach! Pamper ME is your very own handmade, day spa trip-in a jar. The jar contains: 1 Jar of Face Scrub, 1 Jar of Foot Soak, 1 Jar of Bath Salt, 1 Tube of Lip Balm, 1 Lotion Bar, 1 Soap Scrub Bar, and 2 Cotton Face Scrubby Pads. 2. A $30 credit to Em Somerville Illustration. 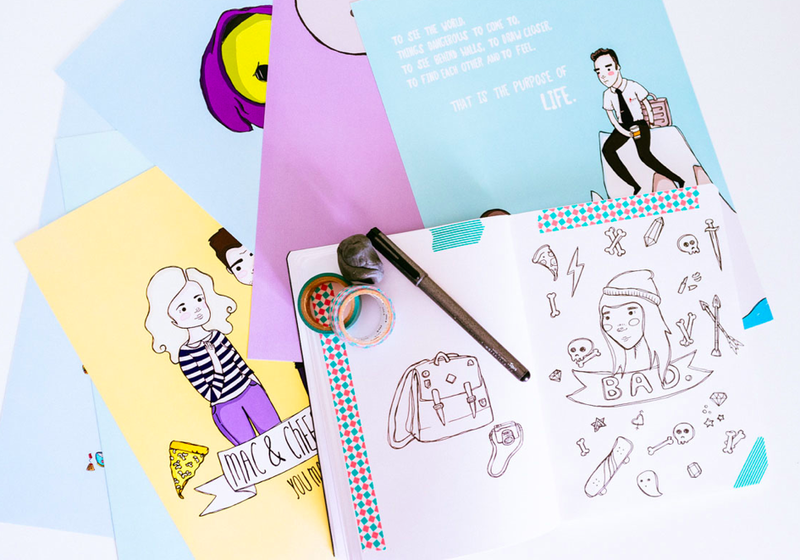 Em’s print are cute, whimsical, and inspirational! 3. 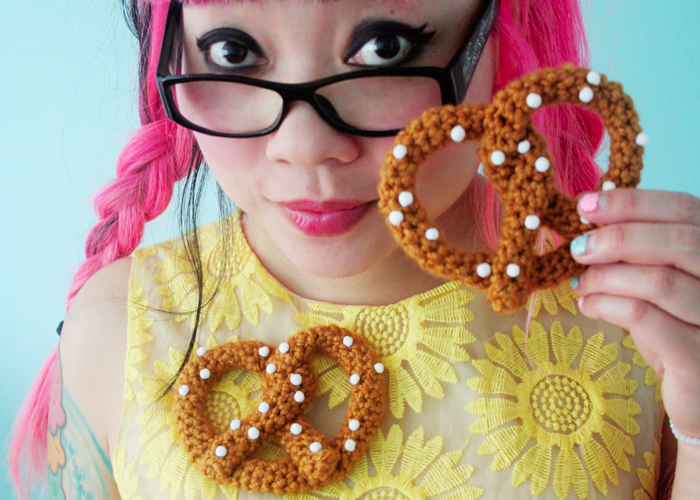 Adorable Donut Brooch of your choice by ClaireyLouCreations. 4. A Marie-Antoinette necklace from Dina Fragola. 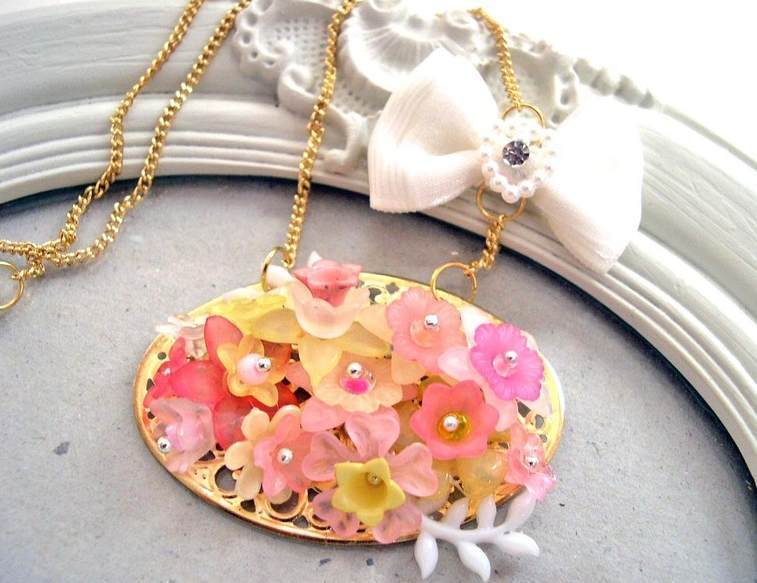 This deliciously cute and rococo necklace is made with a golden filigree base covered with acrylic and lucite flowers. The flowery pendant is strung on a golden toned chain adorned with a grosgrain bow. 5. 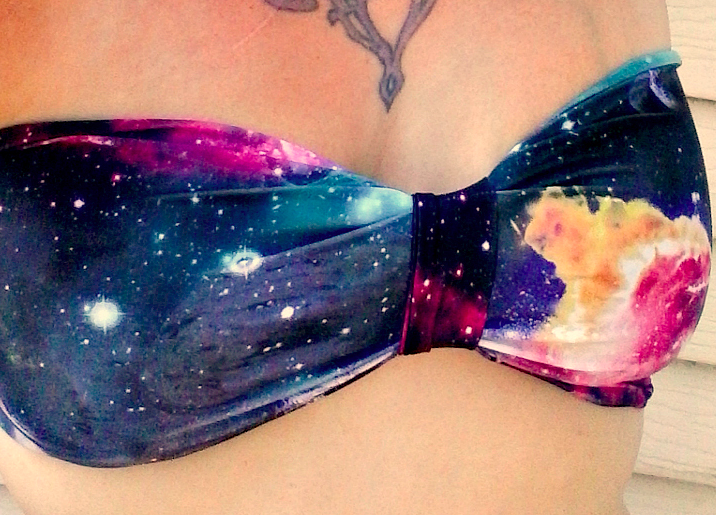 A custom made Black Hole Galaxy Bow Bandeau Bikini Top from The Geek Garden. 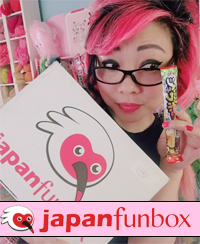 Be sure to check out her shop for her 10 year Anniversary Celebration! 6. 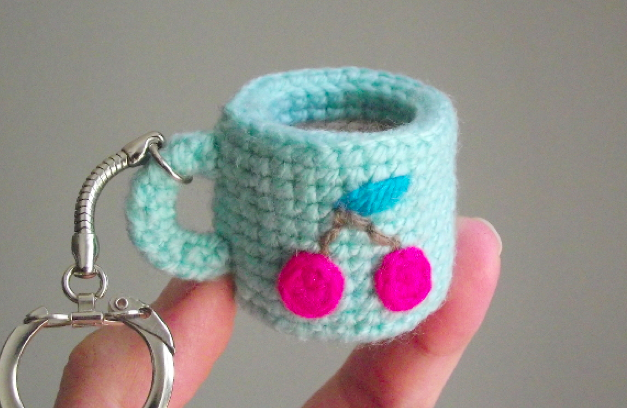 A super cute crocheted key chain Petits Pixels. It’s a little mug of your favorite hot bev! She told me that she will also be posting the free pattern on her blog soon! 7. 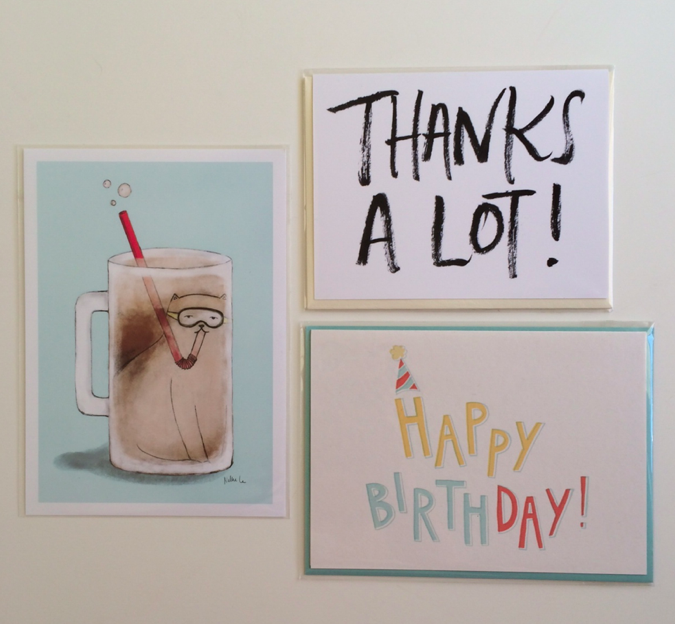 Rootbeer Float Kitty print and two cards from Nellie Le. 8. 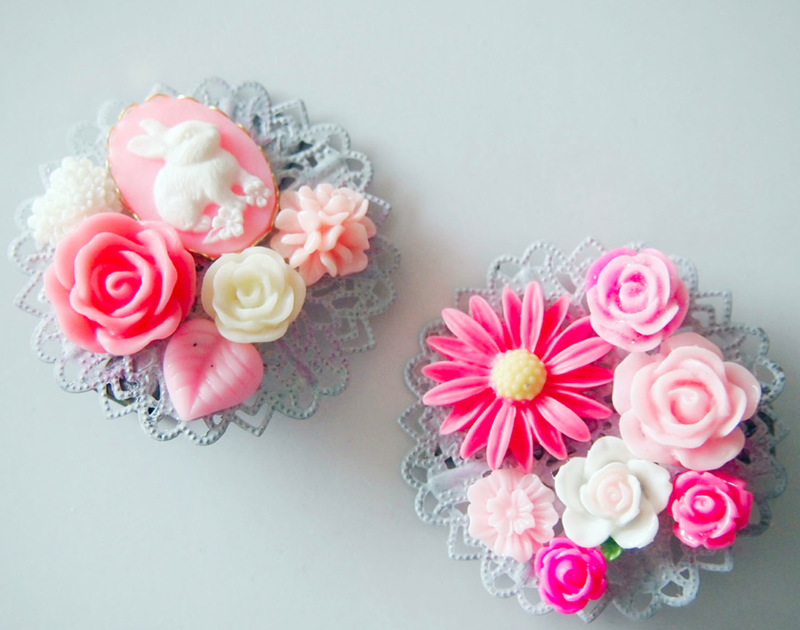 Bunny cameo cluster clips from Glamasaurus. She hand-painted the bronze setting with inks specifically for metal and added a cute variety of flowers. They are made with bronze alligator clips and are about 2 inches across. 9. I will throw in my hat! A Giant Pretzel Pin from my shop! 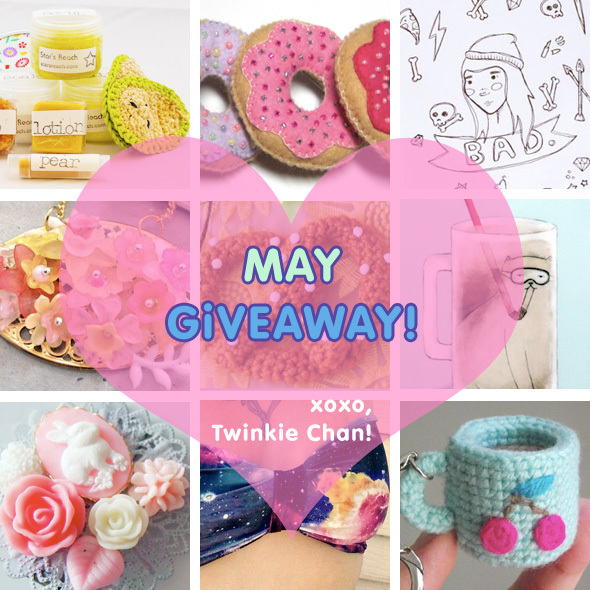 126 Responses to May Blog Sponsor Giveaway! I really like the donuts, there so cute! I love to take walks with my daughter. Your page is amazing! I love going to the lake to swim & walks by the river! CAMPING!! I love spending time in the mountains with my family!! 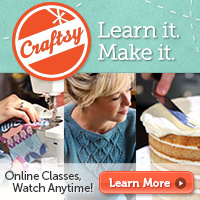 Bonus – lots of quiet crochet time!! Last year I made a slushy bag while camping!! I love to go swimming when the weather gets warmer! I like to go camping with family and friends, bonus I can knit/crochet outdoors. I like to grill outdoors! When the weather warms up, I go outside to the biggest playground in the neighbourhood with my son 🙂 He runs around and plays and I crochet. I love the mini coffee cup!! So cute! I love taking my 17 month old son outside on walks and to the park!! So many cute things! I always like handmade stuff, it has a lot of character and really adds some cuteness to your life! WOOT!!! can’t believe it! thank you sooo very much!